On May 22,2010 I will be conducting my second Confectionery Workshop at Bolton Mansion in Levittown, Pennsylvania. 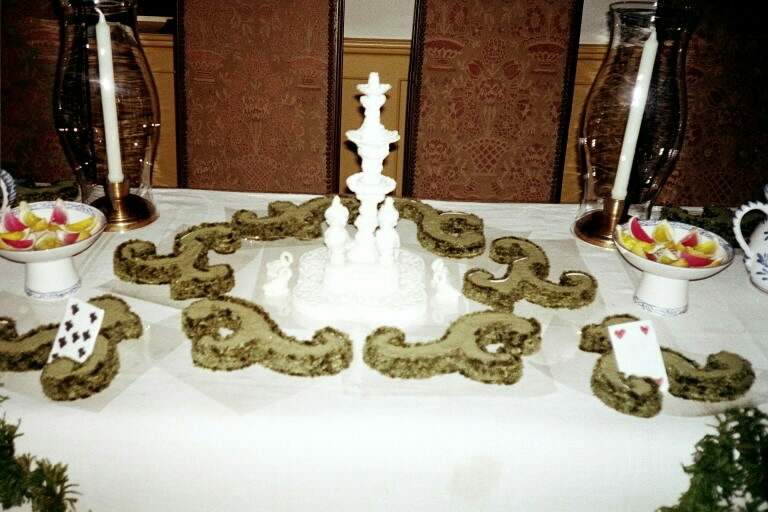 The first one was so much fun as participants learned to make the same sugar plate that was used by Ivan Day when he created this beautiful sugar plate fountain. The techniques and receipt will be taught so that you can practice and perhaps make a fountain of sugar one day. But you will have a small piece that you have made as a starter! The process of making comfits (seeds with many layers of sugar that were used to “ease digestion) will be taught. I will have my comfit making pan and former confectionery students may bring their comfits that they started last year to add more layers of sugar! It is so much fun! And I will have my syllabub engine for making syllabub and MORE! Registration for the workshop is limited as I want everyone to have a wonderful hands-on experience working with sugar, sugar,and more sugar. If you are interested in participating, please contact me. Registration information is on my website www.hearttohearthcookery.com.